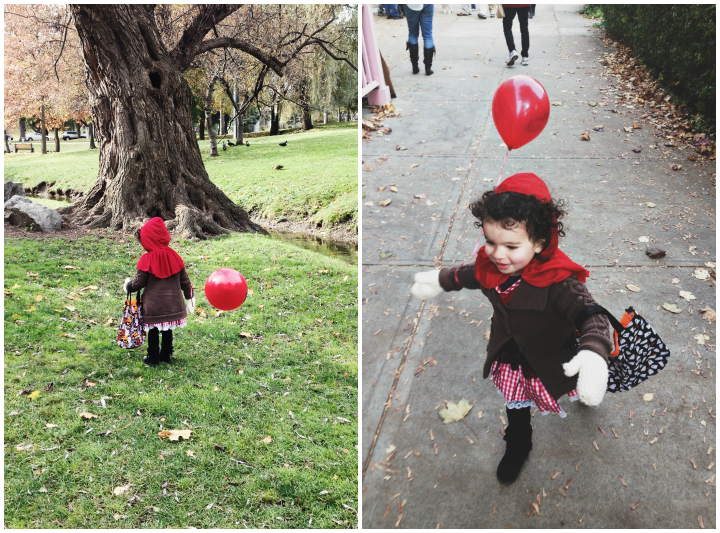 Lauren Rebecca: Happy Halloween, 2013. 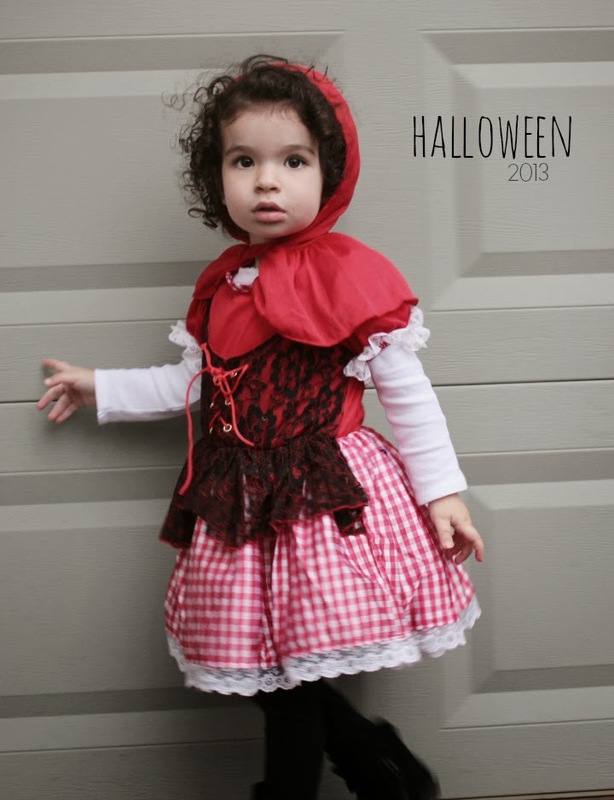 Scarlett had 3 costumes this year. And yes, she wore them all. A mermaid, Minnie Mouse and Little Red Riding Hood. She wore Minnie Mouse to the Mickey's Not So Scary Halloween Party in Disney World when we vacationed there in September. 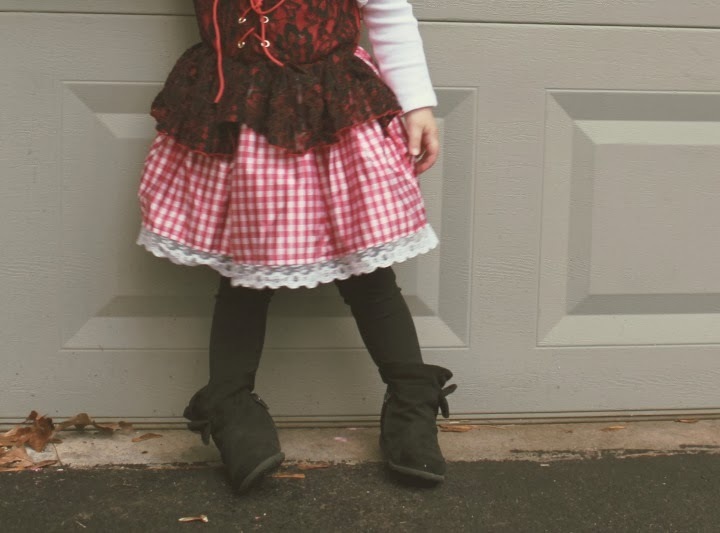 She wore her Mermaid from H&M to a Halloween Party with all of her friends and this Little Red Costume to her school party and trick or treating. Last year's costume here. She's grown so much!!! I love her costumes! How fun to get three in one year! :) She makes them all adorable! What a little cutie she is!! I am glad she is feeling better so she could go out for Halloween!! It rained here and I only had 30 trick or treaters come to the door vs 100 any other year!! I'm so happy that she is feeling better too! Wow, that's a big diff! It rained here too, later in the eve. 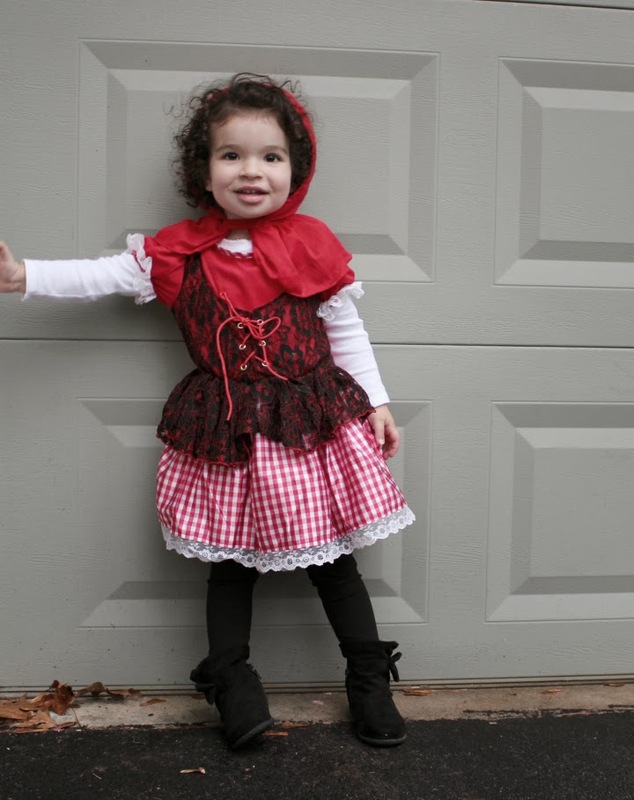 She's the perfect Little Red Riding Hood!